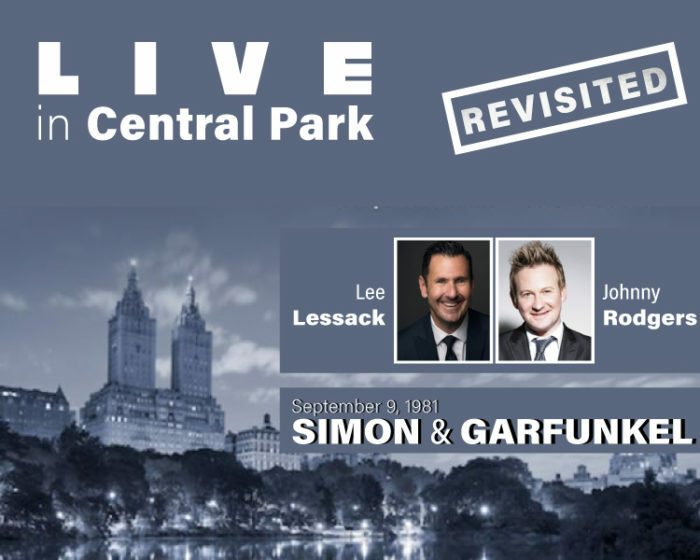 “Simon & Garfunkel: Live in Central Park [Revisited]” is a re-creation of their iconic 1981 reunion concert, featuring award-winning recording artists Lee Lessack and Johnny Rodgers. Lessack and Rodgers will perform all the masterpieces heard on the night that half a million people gathered in Central Park to witness musical history. The duo re-visits the exact set list, a repertoire of lyrical masterpieces that includes “Mrs. Robinson,” “ Scarborough Fair,” “Bridge Over Troubled Water,” “The Sound of Silence,” and many more.